Announcement At this time we are unable to provide custom orders or wholesale. Thank you for your understanding. At this time we are unable to provide custom orders or wholesale. Thank you for your understanding. 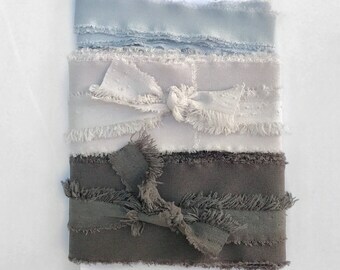 These ribbons are absolutely beautiful and just what I was looking for for my styling kits for weddings. In fact I loved them so much, I just ordered more colors. Shipping is super fast! Very quick shipping, GREAT quality ribbon. I can't wait to shoot with it for weddings! Also LOVE the Ryan Gossling sticker on the packaging! Beautiful Ribbons! I ordered a bunch of different colors.